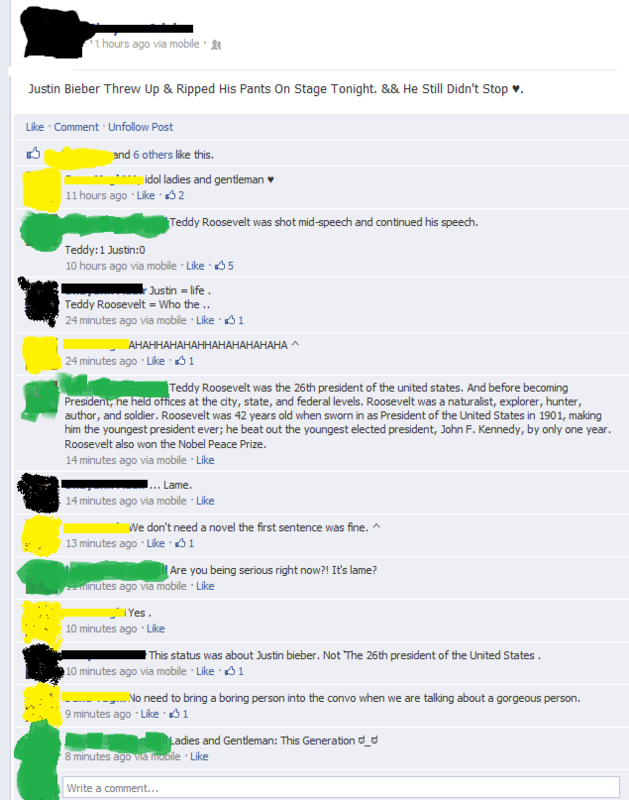 Justin Bieber vs. Theodore Roosevelt: which one is more important to history? Well, if you ask the little sh*ts today, the former. It's a sad generation that we live in.